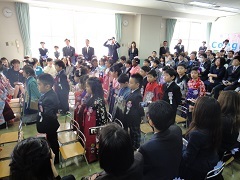 Congratulations to all of the graduating children in Class 7! We are all so proud of you. 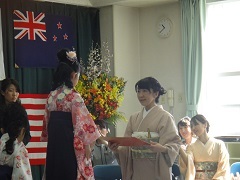 Today everyone performed so nicely at the graduation ceremony and used big voices. 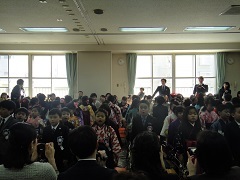 Everyone looked so grown up in their suits and hakamas. This has been such a wonderful year, and we have enjoyed every single day. Thank you all for a wonderful year, and all the best luck in elementary school!